Imogen's Typewriter. 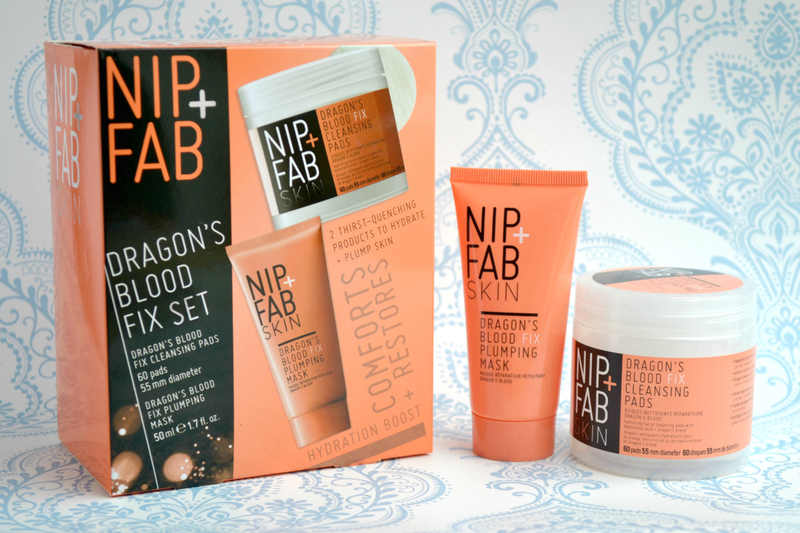 : Beauty Review: Nip + Fab Dragon's Blood Fix Set. 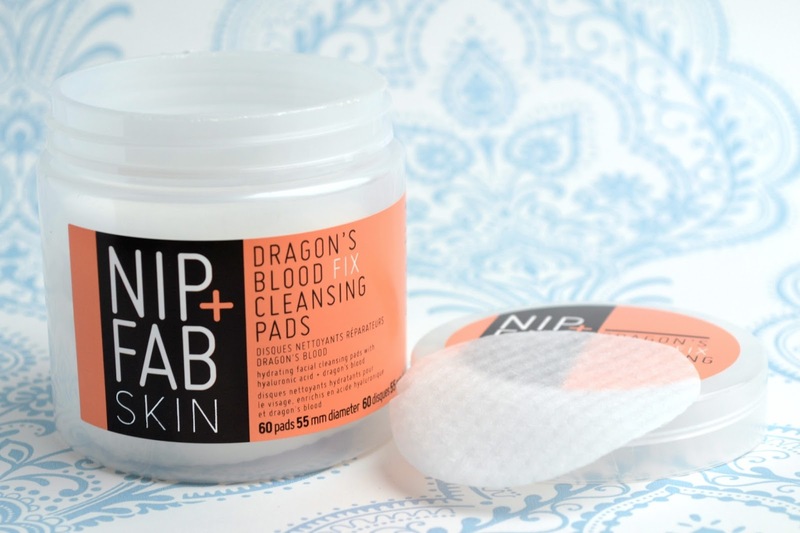 I bought the Nip + Fab set in my local Tesco over Summer because I kept hearing about Dragon's Blood being amazing for dry skin. It is, fortunately, from a tree and not an actual dragon because not even amazing skin is worth getting near one of those with a needle. Hypothetically, of course because this isn't Harry Potter. But this turned out to be almost as magical. 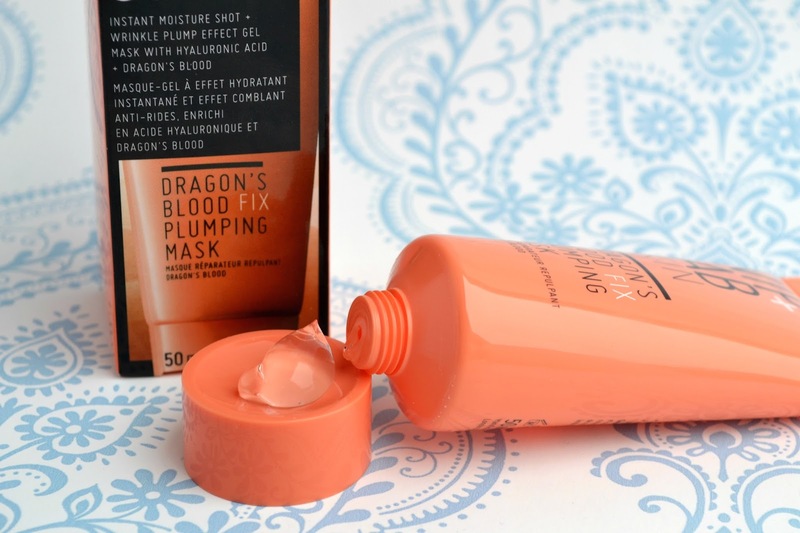 The set came with the Dragon's Blood Fix Plumping Mask which is what I went to originally buy, and the Dragon's Blood Fix Cleansing Pads. My excuse being that the set was only a couple of pounds more expensive and I'm a sucker for trying out anything that might help my skin. I'm going to start with the eh product before I rave about the mask. These cleansing pads have all sorts of claims, like cleansing out pores and reducing redness, but they've been regulated to when I don't want to use my face wash. I just don't see any stand-out effects from them and the exfoliation aspect can irritate my skin sometimes. But, I'll use them up for when I don't want to go through the rigmarole of face wash. All I have to do with these is wipe them over my face and rinse a couple times. Maybe I'm using them wrong and that's why they don't work for me but I hate the feeling of not rinsing after using this product, it just feels icky. The mask on the other hand, hoo boy. I was sceptical when I first saw the clear gel after years of using the thickest emollients I could find, but when I put this on my face, I fell in love. And I just keep falling deeper and deeper. I'm almost out of it now and this is one of those rare times where I will make sure to buy a new tube before I run out because I can't do a day without it. It has all sorts of great sounding ingredients like hyaluronic acid for hydration, amino acid for brightening and the dragon's blood for protection from the environment. But what matters to me is that it just works. I have super dry skin. It's my payment for never having acne I think. So anything that claims to help, I will buy. And even though this claims to be a ten minute mask, I use it as an everyday moisturiser. I did the same with the Origins Drink-Up as well. Give me all the hydration. It's a gel texture that leaves a tacky feel to my skin but doesn't look greasy, and my makeup applies over it amazingly. When I wear it overnight, I wake up with a glow and no dry patches in sight. Actual magic. In short, this is a dream for anyones Winter skin but I'm going to use it year-round in gallons. I want to bathe in this. The very definition of a holy grail product for me. Have you ever tried any Nip + Fab products? What should I try next?